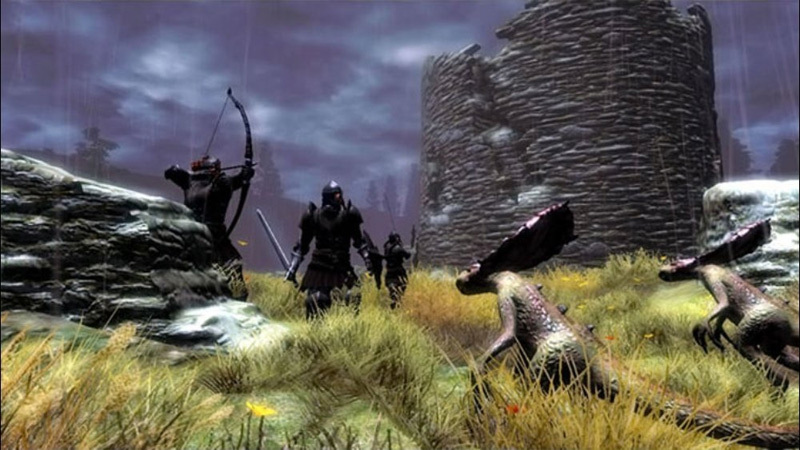 From the quality of the story and character interaction to the pure thrill of the combat to all the pleasure to be found in the game's little details--the lock-picking minigame, the alchemy system, the way arrows stay stuck in their victims, the ability to eventually create your own spells, the informative full-color manual, all the different books you can stop to read in the game--these things combine to make Oblivion one of the single best, longest-lasting gaming experiences to be had in a long time. It's just too bad there's no multiplayer. 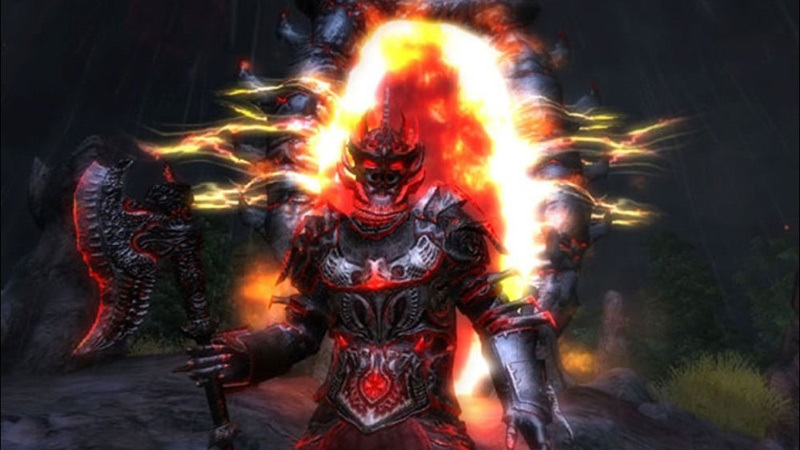 Let's get one thing straight though: Oblivion will consume you. It'll consume your life, your performance at work will suffer and you might not see friends in weeks. With hundreds of hours of gameplay, and an unprecedented amount of quests to be completed, I couldn't possibly recommend Oblivion enough. Great job Bethesda. Sorry social life. Once you've escaped the initial dungeon - a necessary but not overly drawn-out rat-killing trek during which the game instructs you on the basics of blocking, spell casting, sneaking and more - the hand-holding eases and you're free to roam the great outdoors. Here, you can seek out the heir to the vacant throne of the land and quash the hell-spawned threat that could destroy the world. And with only a cursory glance, you'll see that it's a world very much worth saving. 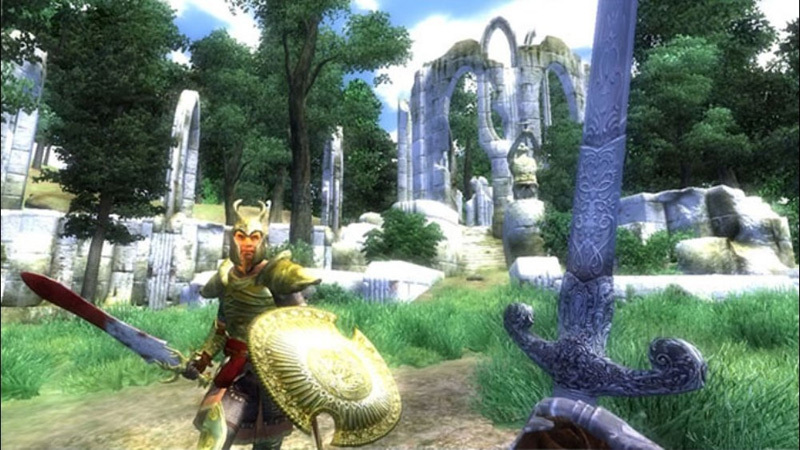 Elder Scrolls IV: Oblivion sets a new standard in RPGs. There isn't a lot of difference between the PC and 360 version. Just make sure your PC is loaded or you won't enjoy the same crisp, graphic resolution. There is so much to do in this game and the interactivity of the AI makes it seem like a massive online multi-player experience. Expect months of fun and adventure. 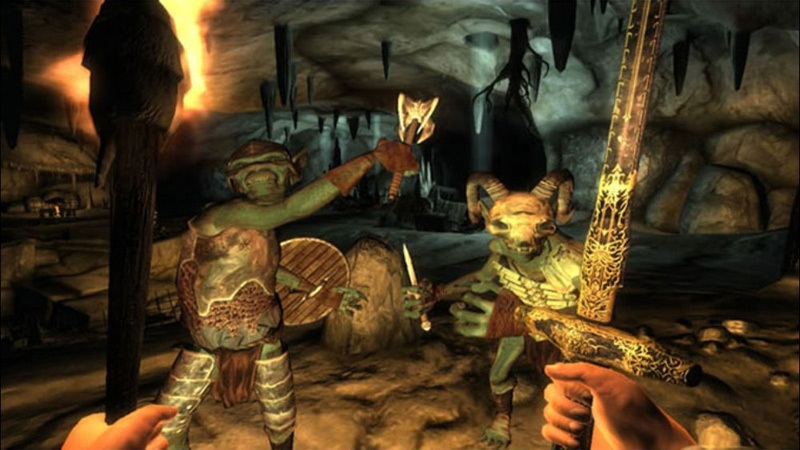 Bethesda has been working on Elder Scrolls IV since the turn of the century, and they’ve built an impressively immersive adventure that will take you several months to completely devour. But Oblivion, for better and for worse, pushes the 360 to its limits, and it shows. If you can overcome the occasional performance hiccups, you’ll be rewarded with one of the most engaging and visceral role-playing games ever created. 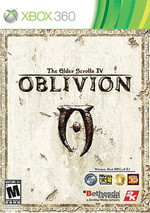 Oblivion is a staggeringly ambitious game that successfully unites some of the best elements of RPG, adventure and action games and fuses them into a relentlessly immersive and intoxicating whole. If the irresistibly picturesque visuals don't draw you in, then the ability to engage in a massive, unique and above all hugely entertaining adventure ought to tip the balance for anyone doubting how good this game could be. 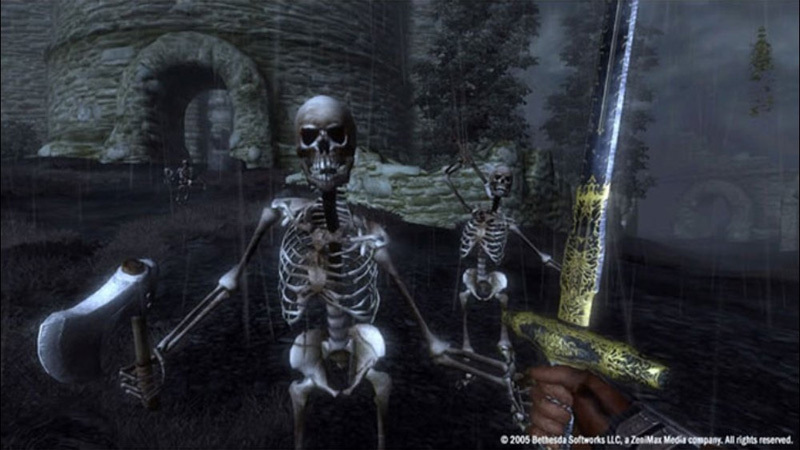 Sans renier un seul instant le monstrueux héritage des Elder Scrolls, Oblivion est l'occasion de démocratiser pleinement la série en la rendant plus intense, plus accrocheuse et plus cohérente. Le passage sur Xbox 360 ne se fait pas bon an mal an. Pour une ergonomie impeccable et un niveau graphique imposant, il faudra faire avec des temps de chargements qui pénalisent le rythme.